Mennonite Girls Can Cook: Saturday in Julie's Kitchen - Feeling Rich! 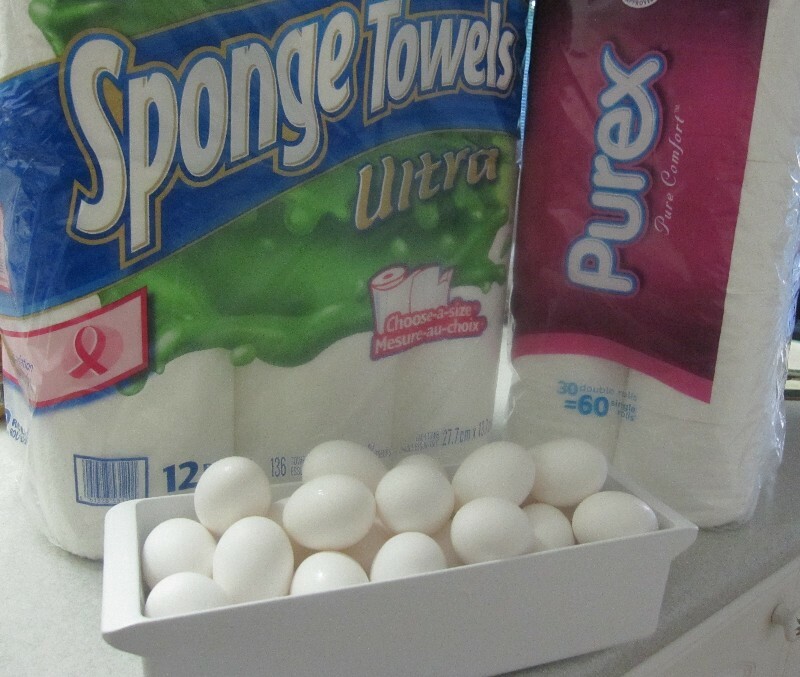 What do these paper products have to do with eggs ?? They make me 'feel' rich !! Sometimes its the little things that matter most . I like feeling rich ... I know 'rich' usually brings to mind the amount of money someone has in their bank accounts, how much equity they have in stocks, businesses or real estate, or where they fall in the income bracket of society. But for those who seek after material riches and possess them , feeling rich is an emotion that is often elusive. As Benjamin Franklin wisely noted .. "Content makes poor men rich, discontent makes rich men poor." 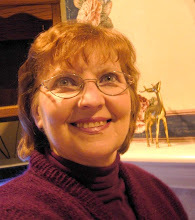 When I was growing up, my Mom was frugal , nothing was wasted - a good quality I cannot say I inherited. Two of the things that were on a 'restricted use' list were paper products and eggs. A recipe with more than two eggs used too many. So somehow those items connected with my feelings to conclude that if I could use as much of them as I wished, I would be rich ! To this day, I am completely content to see my fridge egg tray heaped and a good stock of paper products in my storage space. What 'little' things give YOU the 'feeling' of being rich ?? A Saturday 'TIP' from my kitchen --- There were very few Saturdays in my growing up years that my Mom did not bake buns. The very word 'Saturday' brings to mind that wonderful aroma of buns baking in the oven ! I recently read of the best rising environment for yeast breads. This works wonderfully well for my gluten-free loaves since I bake only one or two loaves at a time. Wet a kitchen towel and wring out enough so it isn't dripping , lay it folded on your microwave tray and zap for 2 minutes. Place your loaf pan on the towel in the microwave to let the dough rise in the warm steamy environment. Rising time needed is shorter so keep an eye on it ! Funny how little things like that can me us feel rich, for me it is a full pantry I know I can feed my family out of for a while if for any reason we don't have money coming in, lay off from work, illness... Growing up our cupboards were usually on the "lean side" so when my pantry is full, I am also content. I feel blessed when I can provide for my family with only one income. I work, my husband stays with the children. I don't have to worry about day care and the issues surrounding that stress. However, I feel blessed that I have basic cooking skills, can make a meal "from nothing" like my husband calls it. I go shopping every two weeks, as best of my ability. We have breakfast and supper planned, and my kids pack lunches for school. We are lucky to have a small buffer in the savings account, and we have full benefits from my job. We are blessed, and I love to be able to provide for them. I love having my full pantry, but it's usually running on the leaner side. We do the best we can with what I earn. I admit too that I am not as frugal as my mother was! We never lacked eggs or milk or meat, living on a mixed farm with large lush vegetable gardens. She worked hard, harvesting and preserving - something I do on a whim or if I feel like it. Little did we know that we were not rich. Last year I bought a second pair of barn boots so I could keep a pair handy at each door. Buying a second pair when I already have one perfectly functional 5-year-old pair felt like such a luxury! I feel rich when the gas tank is full for the car or the oil tank is full for the furnace. Great tip about setting loaves to rise. I often have trouble with that. I appreciate all these comments! Growing up on the farm I thought we were extremely well off...now I realize we WERE, but not in financial terms! I felt privileged (and still do!). I now feel rich when I have cords of split firewood and meat and vegetables in the freezer. One thing I never take for granted is how easy laundry is for all of us. Just think of the time it used to eat up...wow. I grew up with a ringer washer (I was fascinated by this behemoth), and even then as a little girl I thought back to what the generation before that had to deal with...!! Fresh peaches and pears. I can eat as many as I want. Growing up were allowed one out of a case. The rest were used for canning. What a great idea to use a wet towel in the microwave. I usually boil a mug of water, set it in the corner of the microwave, and then put my dough in to rise. I also grew up very frugally in a Mennonite home. Very little was wasted and I find myself with those same tendencies. I feel "rich" when I toss zipper-type baggies after only one use. I grew up in the city in a large family. We didn't have much except a very loving family. Books. To own a book, not just borrow it from the library, is utter luxury. It doesn't even need to be new. Just knowing there is no deadline for returning it and you can pick it up anytime you want is close to heaven. Oh, and using a tea bag just once rather than 2 - 3 times. We're much better off than when I was growing up but it's still the small things - books, new tea bags, etc. - that I appreciate most. Along with my family, of course. I can so identify with the writer and all the comments. Raised in a Mennonite home in the prairies and later in a small community I know what it feels like to reuse and wear hand me downs. My daughters still remind me of trying to get them to wear their sister's clothes and telling them of the good old days!!! Well they were!! We had great food warm clothes and love by the bushel!!!! I feel rich in family members. I came from a very large family. My mother had 17 children and there was much love in our family. Both my parents loved each other through their long marriage even though we were poor. When I was growing up we didn't feel any poorer than others. In my large family there are all kinds of trades people and so we help each others. I feel rich in that way. Oh Julie! I still line my drawers and cupboards with newspaper, put it out on the counter to catch spills from cooking and coffee making, plonk my chicken on a secure pad of six or more sheets to cut it up, set it good thick pad of newspaper under the dishes drainer. I use the freebies that you find in the coffee shops and elsewhere. I throw them away after each mess, or the end of the day. Nothing lost, no money wasted on paper towels, completely recyclable. P.S. I still cannot bring myself to buy plastic wrap. I never have. I wash the baggies that I get stuff in from bulk, or which other foods come in such as cereal, dried fruits, frozen vegs, and use them over and over. And oh yes, the waxed paper liners in cereal boxes? Treasures. Julie, I so agree. When I was growing up we didn't have paper towels at all. They were considered a luxury item and we couldn't afford to buy them. We used the dish cloth to wipe up spills. Today I feel "rich" to be able to afford paper towels. I also know that it's not "wasteful" to use them since they are made from a renewable resource. So far from being a luxury item, they are a practical tool for the kitchen and prevent many an emergency spill from doing damage. I regret I can't credit the author of a book I read several years ago...to her being 'rich' was to have soap. She grew up very poor & when the soap weed was at the right stage, they'd bath in the creek w/the sap from it. When the family could afford to buy a bar of soap...they used it right down to a very tiny sliver. Once she had her teaching degree & a little house in town, she bought bars of soap & filled a basket in the bathroom...as soon as her bar got small, she threw it away & started a new bar...that's when she felt rich! And, as to an earlier reference to a wringer washing machine...that's what I used growing up & as a new bride. What great post Julie - thanks for reminding us all how "rich" we are. I feel rich when I can throw away old tea towels. When I was growing up ours were used until you could see through them. Thank you, my friends, for sharing your 'riches' !! I was away for a few days (without internet!) and I came home tonight to the joy of reading all these comments !! Made my day! Great post, Julie. I am thankful for my large, modern kitchen with lots of counter space. Many times I wish I could send this kitchen to my mom 50 years ago when she was canning so much garden produce and meat, and cooking spectacular meals for a large family in her small kitchen with two tiny counters. Of course she did this with a wood-burning cook stove and no running water! I am thankful for that experience, too, and thankful that I felt rich in the love and security of that home. I always think having canned pop in the house feels very decadent! My New Yorker subscription - I can remember reading it in the college library and thinking 'when I am rich I'll have my own subscription." I feel rich every late May when my peonies are in bloom. I am so rich that I can give away bouquets of peonies with abandon! We had several kids and not much money...my Mom would bake a triple batch of chocolate chip cookies and use a 1/2 bag of chocolate chips, you got a couple chips in each cookie. The first time I baked them using a single recipe and a whole bag of chips I couldn't believe it. 8-) My Mom would rinse out and reuse plastic bags. And, even after getting an electric clothes dryer, my Mom usually used the clothes line, even hanging clothes in the basement/cellar in the winter. My parents grew up during the depression and many of those choices helped them get through hard times raising a house full of kids. We didn't know any difference.